Ivory Coast (officially Republic of Côte d’Ivoire) became a protectorate of France in 1843-44 and in 1893 it became a French colony. Independence was gained in 1960. It maintained close political and economic ties with its West African neighbours, while at the same time remaining close to the West, especially France. Abidjan is the economic capital of the Republic of Côte d’Ivoire, the adminitrative and political capital being Yamoussoukro. Considered a cultural centre for west Africa, Abidjan is caracterised by rapid industrialisation and urbanisation. 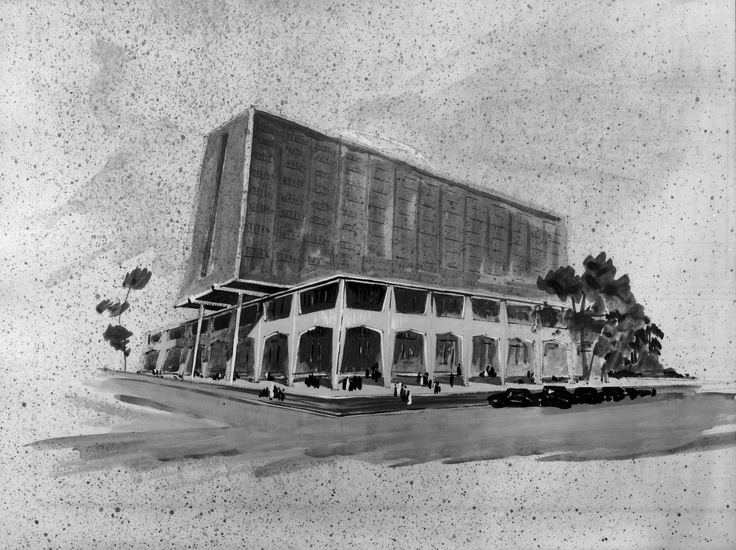 The French bank, Société Générale, opened it’s headquarters in Abidjan in 1965. Ever seeking to demonstrate their solidity, to attract and reassure their customers, banks have always been interested in buildings and in managing their real estate holdings. Built by architect Henri Chomette, this building combined functionality with art and symbols of the country. The frame of the dome was shaped like African canoes and the mural at the entrance used Baoulé type decorations, inspired by weights formerly used to weigh gold during ceremonies. 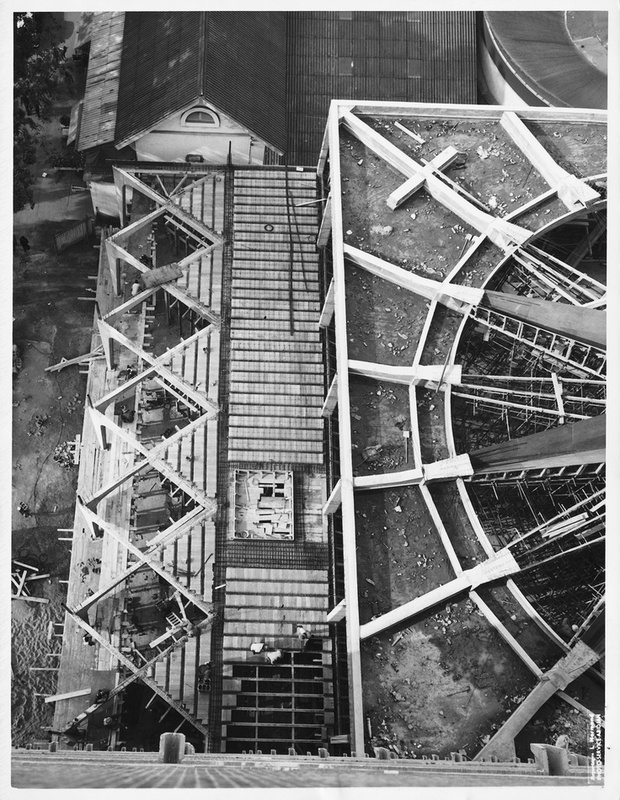 The mezzanine railing was decorated with palm tree leaves and while some building materials were imported, others were locally available such as the wood and bricks used as wall coverings. 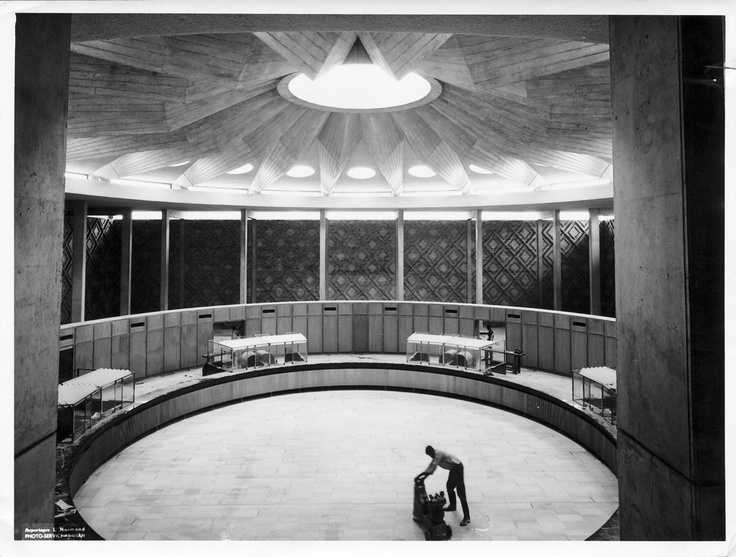 The building was inaugurated in November 1965 in the presence of President Félix Houphouët-Boigny. 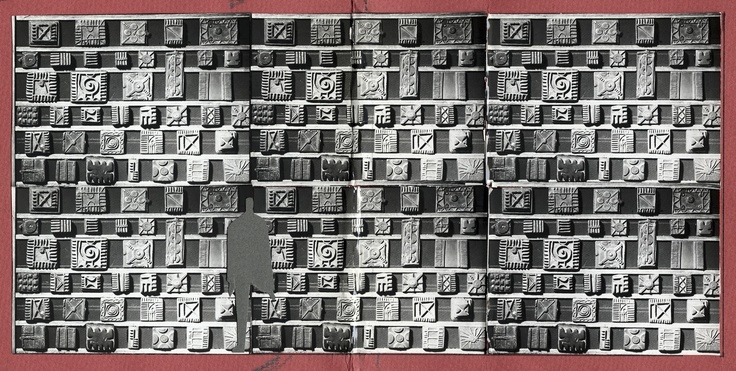 Born in Saint-Étienne in 1921, Henri Chomette was working at Société Générale even before earning his diploma as an architect at the Ecole des Beaux-Arts in Paris. In 1946 he was allowed, under a special dispensation, to take a post with the bank as his end-of-study internship. A brilliant and diligent student, he quickly secured the trust of his superiors and worked on the reconstruction of several branches destroyed in the War. 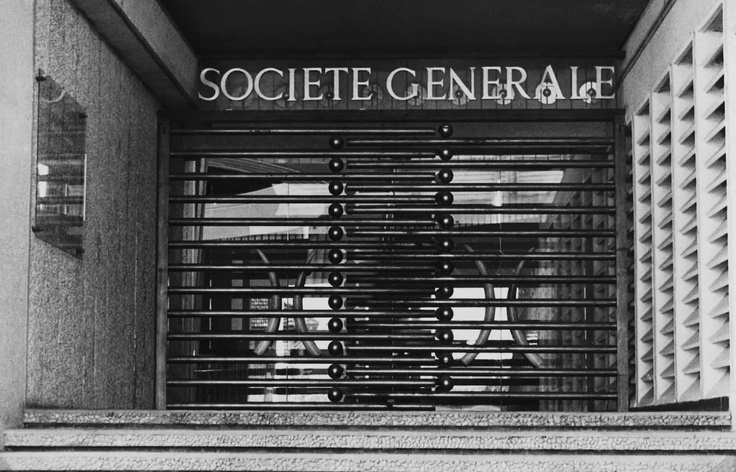 In July 1953, he left Société Générale to open his own studio. His best work is to be found in Africa where he won the international competition organised for the imperial palace in Ethiopia in 1948 and became chief architect of the city of Addis Ababa. He designed buildings in Senegal, Burkina Faso, Congo and Côte d’Ivoire, and the Societe Generale buildings at Abidjan and Brazzaville.